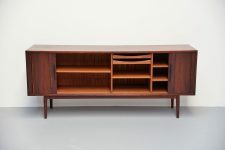 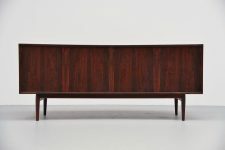 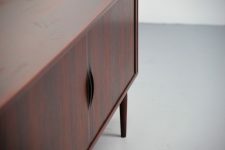 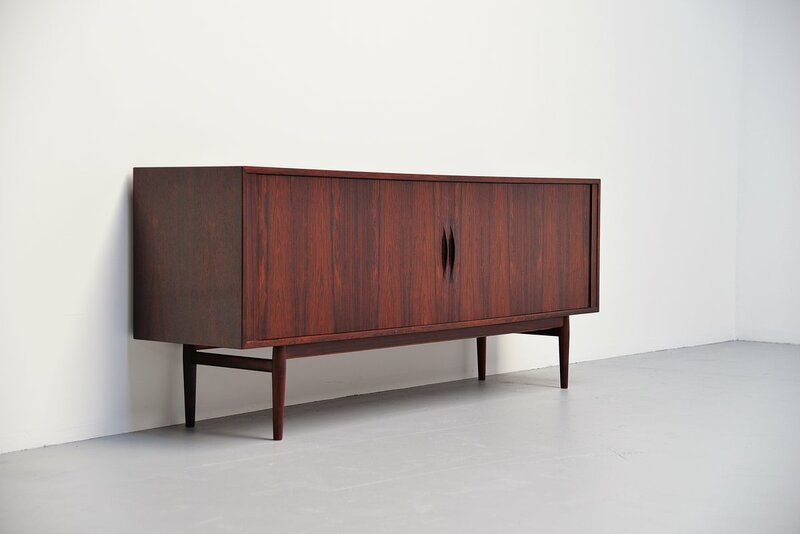 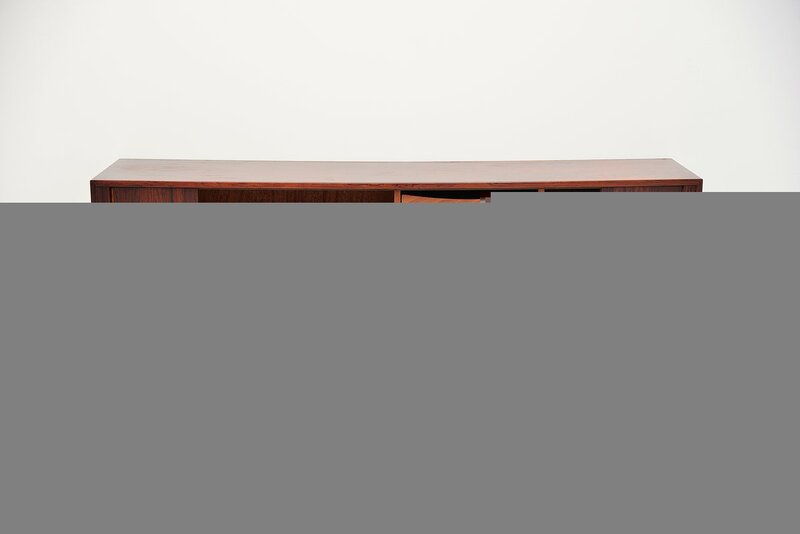 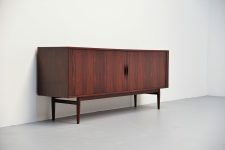 Very nice sideboard model 37 designed by Arne Vodder for Sibast Mobler, Denmark 1960. 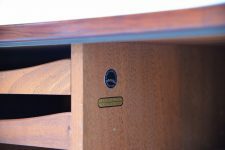 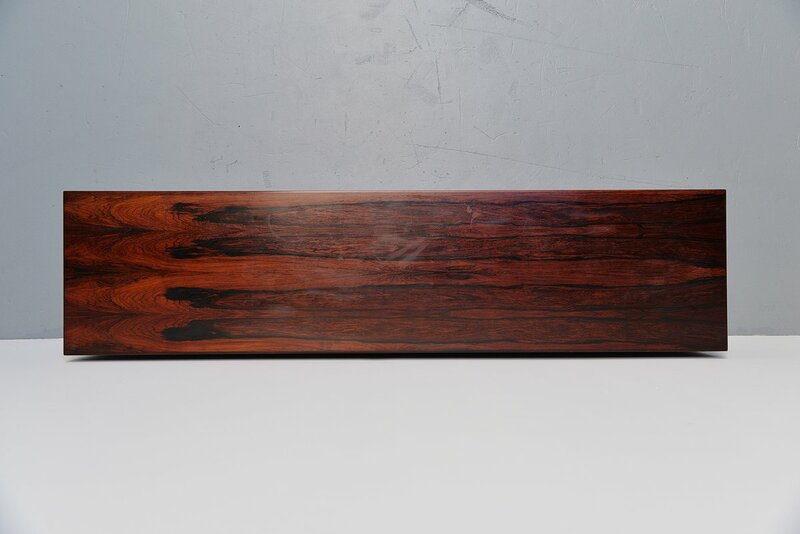 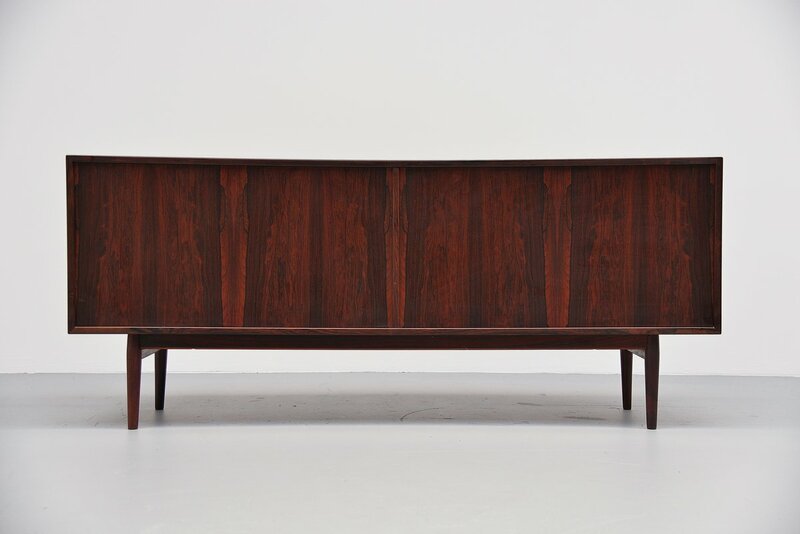 This nice rosewood sideboard has an amazing grain and still its original lacquer finish. Very nice dark color to the wood. 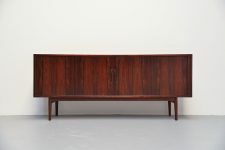 Sideboard has tambour doors and shelves and 2 drawers behind. The inside of the sideboard is complete, nothing missing. 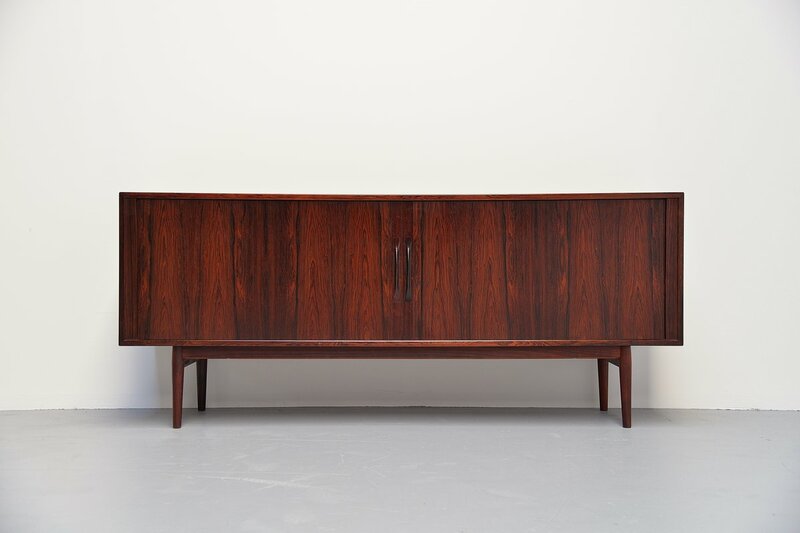 This sideboard is finished all over so it can be used freestanding as well.